Pain affects everyone at one time or another. Acute pain is protective and prevents further injury and is frequently seen after trauma including surgical procedures. Persistent or chronic pain is not protective and can lead to loss of function, distress and disability. It is unfortunately common. Most studies world-wide indicate that around 1 in 5 people will have persistent or chronic pain. Waitemata Pain Services (WPS) provide care for patients with acute and persistent pain problems within the Waitemata District Health Board in Auckland. It consists of a team of doctors, nurses, physiotherapists and psychologists who undertake a variety of interventions. The goal for our service to allow people to function better with pain. The website contains useful information, resources and educational material for patients and healthcare practitioners. 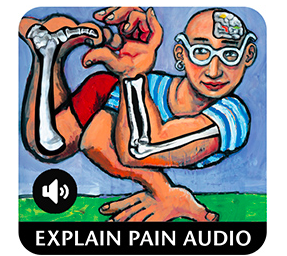 We encourage users to review the pain education video on this page as an introduction to some of the concepts important in modern pain management programmes. In addition there are a series of presentations where our clinicians discuss issues relating to pain medications, interventions, activity and physiotherapy based strategies. 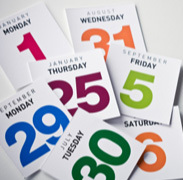 There are daily updates in pain research as well as useful resources relating to medication information sheets. For health professionals we also have clinical guidelines and screening tools available to download and print. Pain Nurse Specialist Monday - Friday 09.00-15.00. A helpline is available for healthcare professionals to call directly for information. These services can be accessed by calling the Waitemata Pain Service Office. Please note that at some times the nurse or doctor may not always be available - if this happens please leave a message and we will phone you back in working hours. There is no after hours or weekend service. 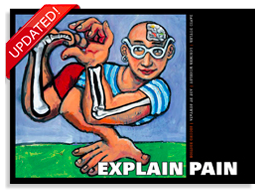 The NOI Group produce some exciting, entertaining and effective pain management books and resources. Our team use some of these methods when they meet their patients. 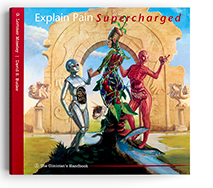 Explain Pain can be purchased via their site or often is obtainable from your local library- please ask you librarian to order you a copy. They also have audiobooks and teaching resources for healthcare professionals or those patients interested in getting more information.